A Halo-FX fireworks display is guaranteed to pull a crowd to your event. 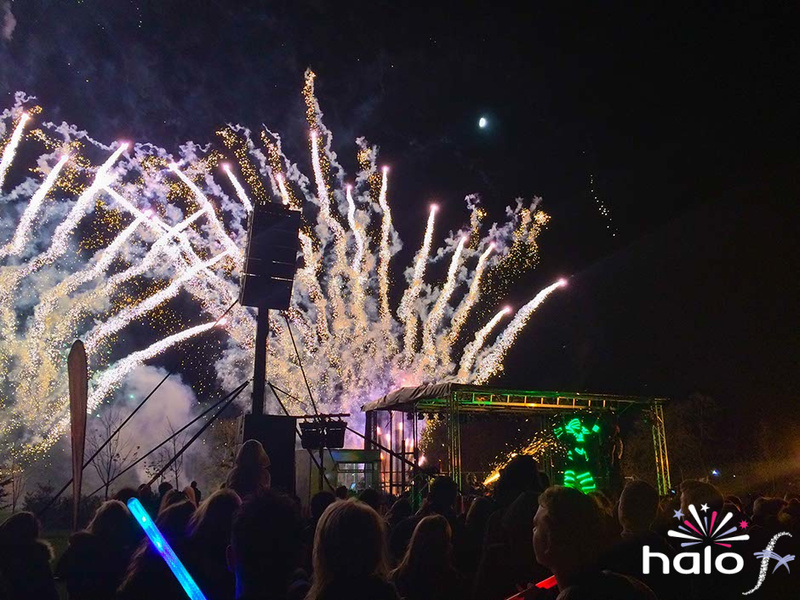 Whether you’re organising a fireworks display for Bonfire night or Halloween, or adding fireworks to an existing event such as a music concerts or a Christmas lights switch-on, a firework display from Halo-FX will really wow your audience. Stunning pyrotechnics come as standard, so why not amaze the crowd with a pyro-musical display? You’ll be getting more than just fireworks set to music. Your audience will get a complete pyro-theatrical experience. Our pyro-musicals hook the audience from the beginning, capturing their imaginations, taking them on a magical journey. They won’t want the show to end… when it does they’ll be saying “awesome” and “better than last year”. Add theatrical light, confetti, streamers or special effects for an even greater display, and leave the crowd ecstatic. Get in touch and let us add some pyro-magic to your next event.